HRDP Remote is a program developed by Honeywell. We know of version 4.0. Version 4.02.3201 is downloadable at our site. HRDP Remote installation package has a size of 42,702,490 bytes. 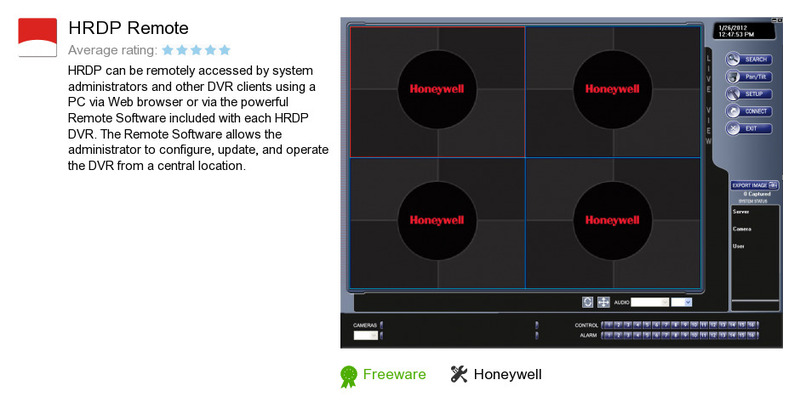 Honeywell also publishes Fusion Network Video Load Estimator and Honeywell Drive Care Tool.